Today (8/9) only Shutterfly is offering up to 10 FREE Customized Photo Magnets (of the same size) when you use code TREAT4U at checkout! I love these for gifts and to reduce the clutter on my fridge! Shipping fees do apply. 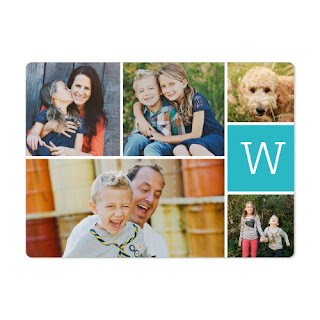 SHUTTERFLY Offer: Get 10 Free Magnets! Use code TREAT4U at check out. Valid 8/9 Only! Offer expires August 9, 2017 (11:59 P.M. PT). Choose 10 free magnets through shutterfly.com, our mobile-friendly site, or Shutterfly app. Offer is valid on all magnet sizes (only select sizes are available on the app), but limited to one magnet size and type per order. Disney style magnets may not be combined with non-Disney magnets. Promo can only be redeemed once per account and/or billing address. Taxes, shipping and handling will apply. Not valid on glass, stationery and wood magnets, prepaid plans, other products and prior purchases. Cannot combine with free shipping. Cannot be redeemed for cash or combined with select offers or credits. Not valid for resale. We reserve the right to modify or replace any part of these terms and conditions without notice.